I am frequently asked what a writer needs in the way of reference works. There are a lot of obvious answers, a dictionary, a thesaurus, a desk encyclopedia. 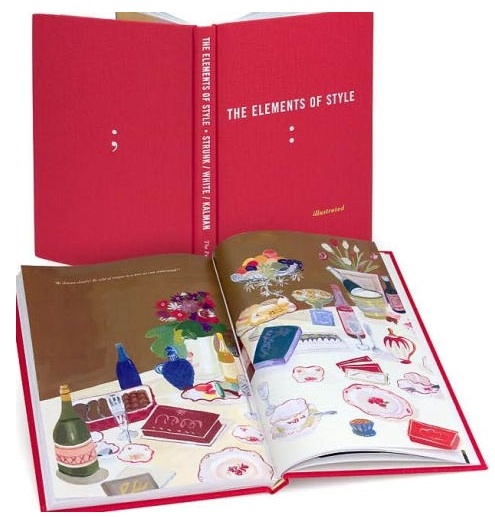 But if I were stranded on a desert island, with pen and paper to hand, the one essential guide I would have to have with me would be Strunk and White’s The Elements of Style. But back to The Elements of Style. The book is easily navigated, six chapters including one on style and another on spelling, with a glossary and an index in back. I reread The Elements of Style every two or three years, cover to cover, just to remind myself what’s what in my world. I confess, I’m always looking up “lay” and “lie” [Page 77, “Do not misuse lay for lie. The hen, or the play, lays an egg; the llama lies down.”], an eternal bone of contention between Everywriter and The Copyeditor. “Being in a dilapidated condition, I was able to buy the house very cheap” demonstrating the incorrect usage of participial phrase and subject. I don’t know about you, but I always buy houses when I’m in a dilapidated condition myself. Chapter 4, “Words and Expressions Commonly Misused,” is my first stop when I stub my toe on something everyone says, so it has to be right. Right? Wrong. 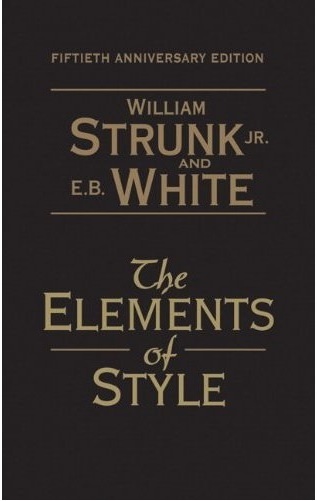 Strunk and White are united in the less is more view of style. Don’t pad, don’t label, don’t invent verbs by adding -ize to a noun, however tempting it may be. That way lies [lays?] abomination. 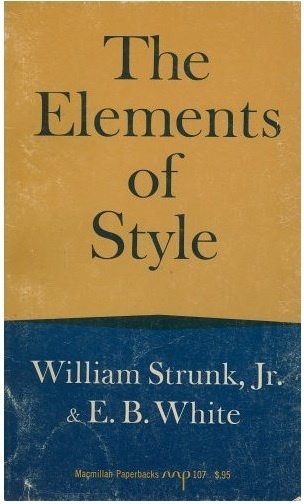 I’ve worn out three or four paperback editions of Strunk and White’s The Elements of Style since being introduced to it by Mr. Winklebleck, my high school freshman English teacher. I broke down and bought Maira Kalman’s illustrated edition when it came out in hardcover in 2005. And then there’s the 50th Anniversary Edition, gilt lettered and black leather bound, which might be the one thing I’d like to be buried with. Make that, the one thing with which I’d like to be buried. Hi Dana, I just finished A Night Too Dark.. a few months after release, but the anticipation made her even more delicious! Working for a national park advocacy org. that’s concerned about the real-life proposal to build an open-pit gold mining district alongside Lake Clark National Park, I’m endlessly tickled by Kate and Niniltna’s reflections of our own dilemma. Mutt’s fans in the Bristol Bay region are too! Any chance we could lure you to Southwest Alaska for a visit, or maybe a writers workshop? Thanks, Melissa! In fact at this moment I write from Skagway, where I’m keynoting the first North Words Writers Symposium. Awesome, Dana. Hope your keynote and the symposium were a success! I really would love to explore possibilities for helping connect you with your Bristol Bay fans… can we chat off-line? Oops! Can you un-post my contact info?